You can see what I went with--pink for Valentine's Day. Bubba took that photo on Easter. She was peek-a-booing under the picnic table at him. 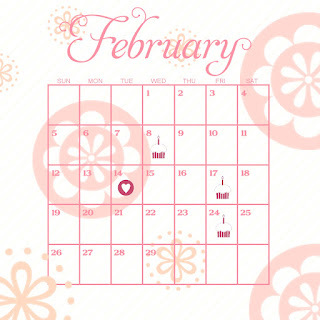 You can see all the cupcakes on the calender- 4 birthdays in February (2 on one day). Poor Nathan gets neglected due to Clare's cuteness and age. My mom's a seamstress, so I knew I wanted to use this Sew Suite stuff on pages. Clare's 1st birthday party pictures matched it so well that I knew this would work--and it did. Clare hated her cake. She hated the frosting. She hated having the frosting touch her skin. 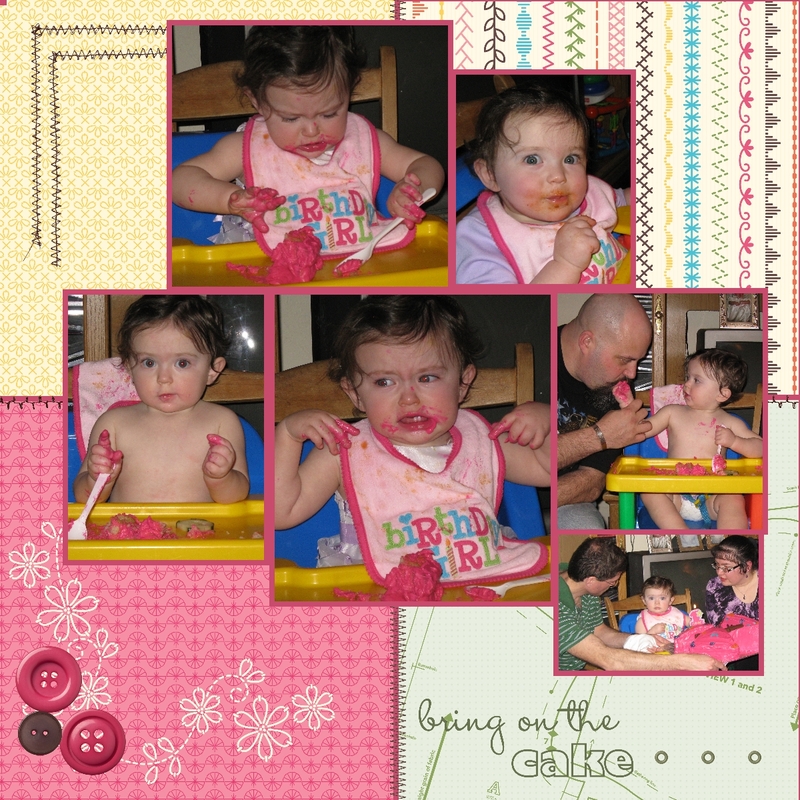 Even Unka Bubba couldn't convince her cake was a good thing. Later that night, after her fancy dress was removed, her silly self came out. She was much more fun then! Every body desire to buy a new calender when started a new year. This post show nice calender. 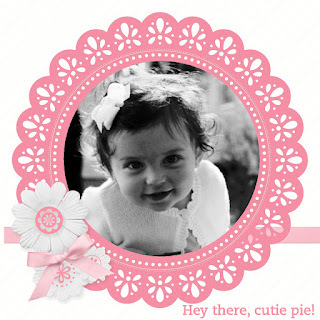 We are showing cute baby photo from this nice calender. Such great pages!! 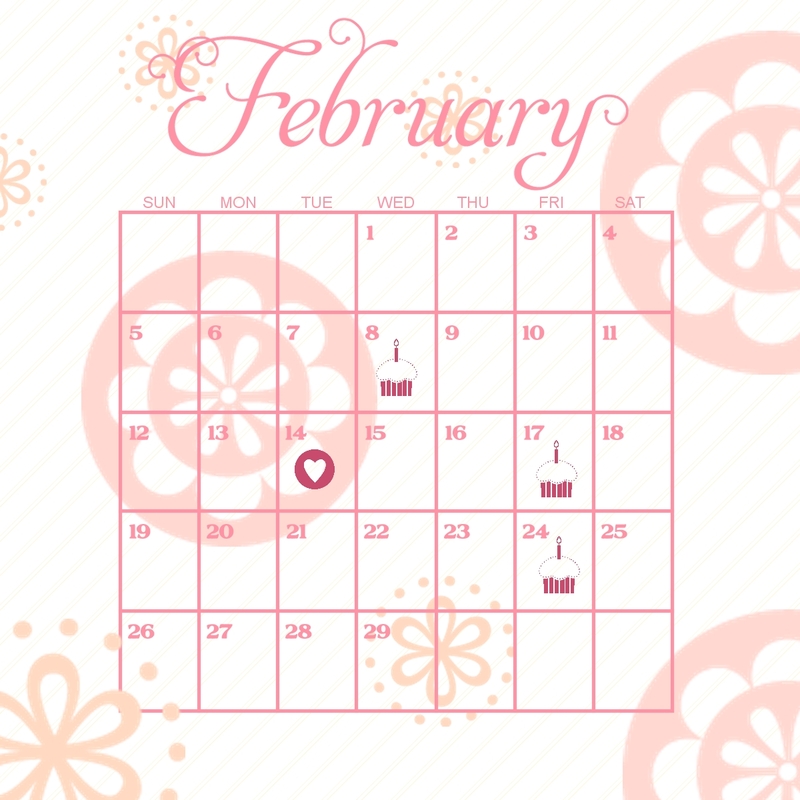 I love the picture for February, and the sewing theme for March. Your mom must love this!! 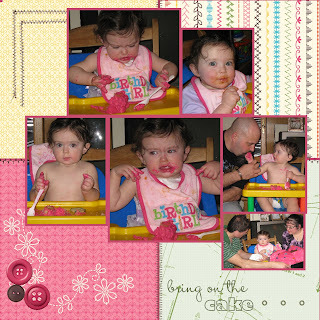 So funny that baby Clare didn't want anything to do with the cake. I'm glad that she recovered her fun later, tho. Great pages. I just love the peek-a-boo in the doily. So lovely. My Mom's My Digital Studio Calender Revealed!